Nassau Coliseum is formerly known as the Nassau Veterans Memorial Coliseum and occupied a 63-acre site that was formerly the army and air force base at Mitchel Field. With over 44,000 square feet in the main arena and another 60,000 in the Expo Centre, the venue hosts exhibitions as well as shows and is often used for trade events. From 1972 until 2015, the venue was also the home of the New York Islanders of the National Hockey League (NHL) as well as the New York Nets American Basketball Association. Both teams now play at the Barclays Centre in Brooklyn. Delux Worldwide Transportation offers the best luxury NYC tours in chauffeur driven vehicles. 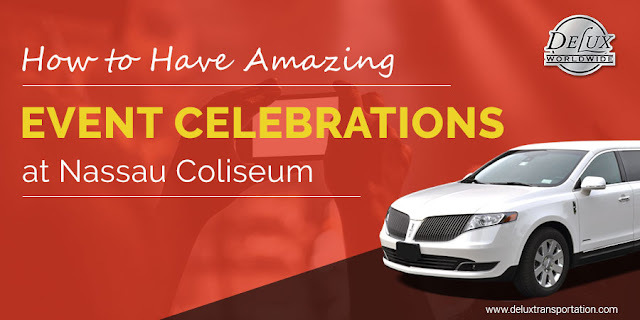 The fleet includes limousines, sedans, SUVs, executive vans and even buses to allow you and a group of any size to see the best of the city on a schedule that suits you. Tours are booked by the hour (minimum 5 hours). Drivers will pick up at point A and tour the whole day around NYC (and beyond if desired) avoiding the crowd and public transportation. Our limo service NYC style will pick you up from the airport or place of accommodation to enjoying the best sites of the city. And by using a top New York corporate car service, if you are traveling for pleasure and/or business, we can ensure you get to meetings and other corporate events in a timely manner. 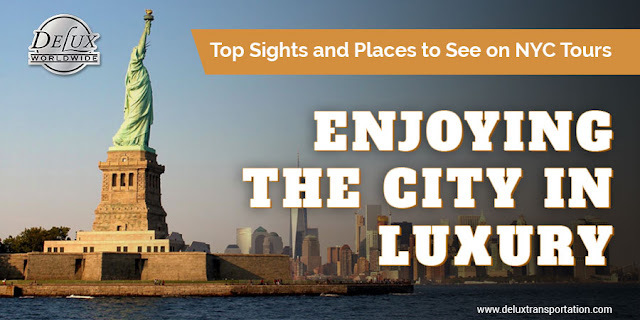 There’s no better city in the world for an engagement party than New York City – with so many romantic locations, historic buildings and beautiful spots, the city has something to offer all tastes. When you have asked the question and received a positive answer, there’s a lot of planning for the wedding, but it is also important to celebrate this first step with an engagement celebration. Here are ten hot tips for planning a party in NYC. Choose when to get engaged Did you know that the most popular times of year to get engaged are between November and January? Valentine’s Day in February is another popular date as well as the 4th of July. However, when it comes to the wedding, spring is the most popular season for the big event with April standing out as the favorite month, followed by October for those who like an autumn event.